Both crime thrillers are getting the 4K treatment next month. As previously reported, Sony is preparing Panic Room and The Girl with the Dragon Tattoo for 4K Ultra HD Blu-ray later this year, and now The Digital Bits is reporting that you can expect to see them in stores on October 30. Panic Room - Trapped in their New York brownstone's panic room, a hidden chamber built as a sanctuary in the event of break-ins, newly divorced Meg Altman (Jodie Foster) and her young daughter Sarah (Kristen Stewart) play a deadly game of cat-and-mouse with three intruders - Burnham (Forest Whitaker), Raoul (Dwight Yoakam) and Junior (Jared Leto) - during a brutal home invasion. But the room itself is the focal point because what the intruders really want is inside it. 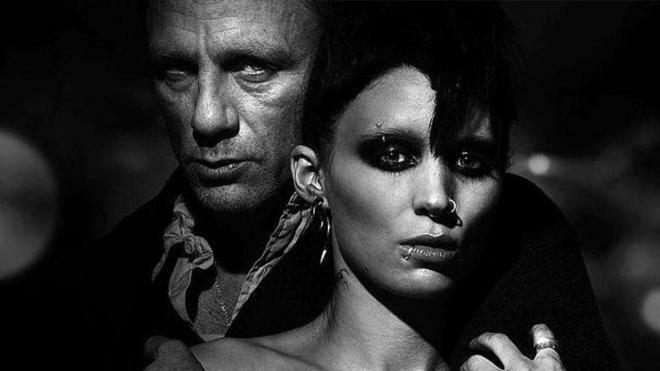 The Girl with the Dragon Tattoo - Disgraced financial reporter Mikael Blomkvist (Daniel Craig) finds a chance to redeem his honor after being hired by wealthy Swedish industrialist Henrik Vanger (Christopher Plummer) to solve the 40-year-old murder of Vanger's niece, Harriet. Vanger believes that Harriet was killed by a member of his own family. Eventually joining Blomkvist on his dangerous quest for the truth is Lisbeth Salander (Rooney Mara), an unusual but ingenious investigator whose fragile trust is not easily won. No other details have been revealed at this time. You can find the latest specs for Panic Room and The Girl with the Dragon Tattoo linked from our 4K Blu-ray Release Schedule, where they are indexed under October 30.